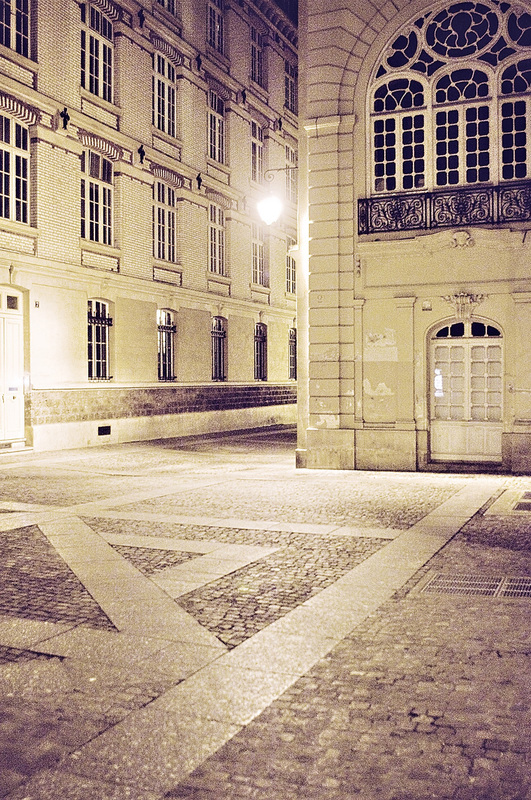 When I was walking around in the evening this past week I took a few shots of the empty city streets. 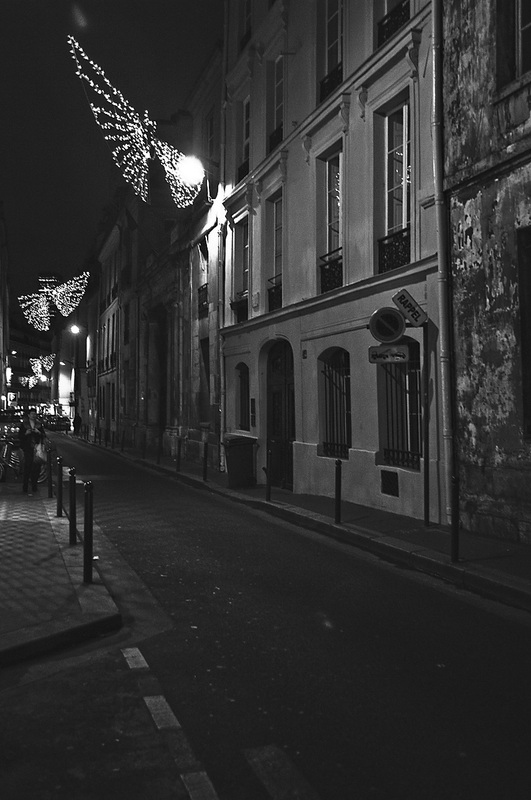 Particularly on Sunday in Paris certain areas seem almost like a ghost-town. Most businesses are closed on Sundays and things seem even more deserted at night. Yes, technically there is one person in this last shot, so not quite empty. I was playing with how exactly to shoot the lights that are still up. Although they have a star in the center, I thought these kind of looked like angel wings. I took a few others that I’m not quite sure I’m satisfied with so I may have to try again. 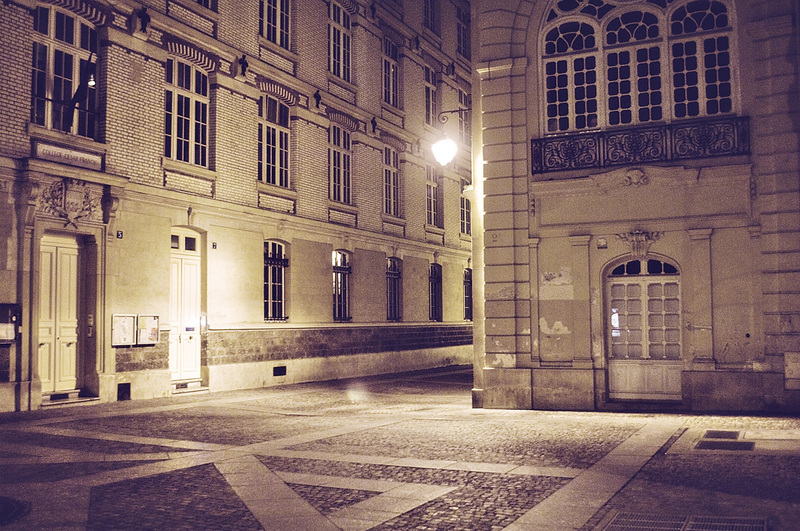 This entry was posted in Travel and tagged city streets, France, Paris, photography. Bookmark the permalink. i love desert cities by night. One day I walked in rome at late night (winter). It was wonderful. Me and the city. That sounds amazing! I agree, walking the deserted streets at night definitely has a very different feel and is a great opportunity to get some interesting shots. Winter would be great, unfortunately we haven’t even had any snow in Paris yet!